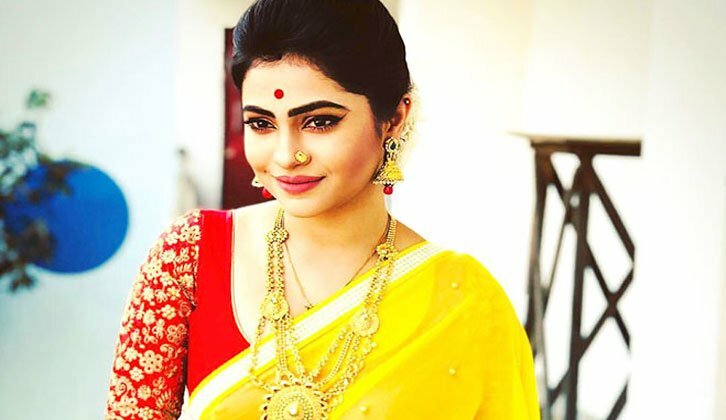 Puja Cherry Roy (Bengali: পূজা চেরি রায়) is a Bengali actress from Bangladesh. She is a very young, cute and talented actress. 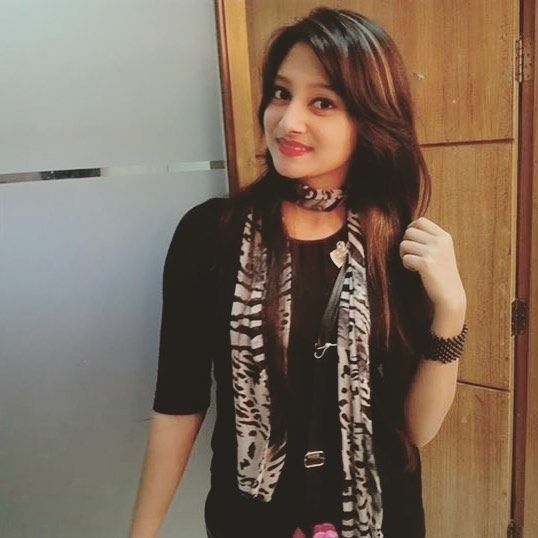 She is work in Bangladeshi TV series and TV Commercial. Her debut TV ads were Teletalk 3G becomes very popular that time. 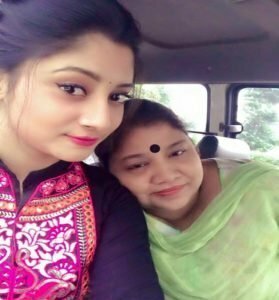 She was born on August 20, 2000, Gazirhaat, Khulna, Bangladesh. 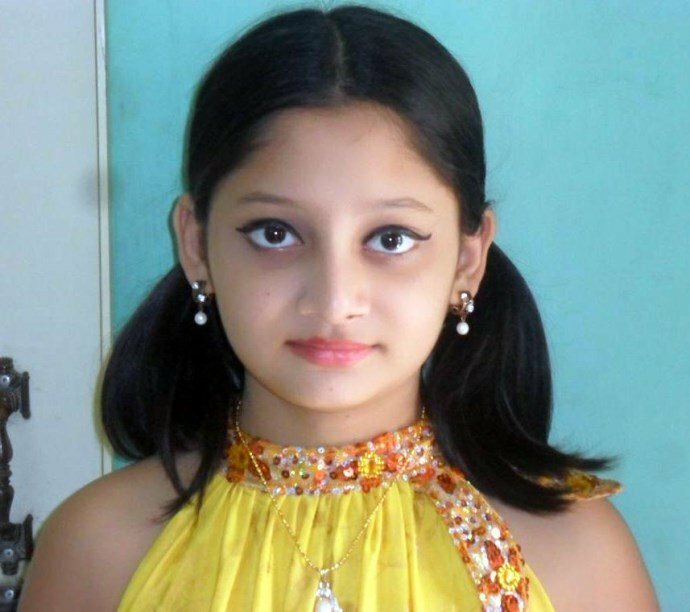 Puja Cherry also work in Films as a child Artist. 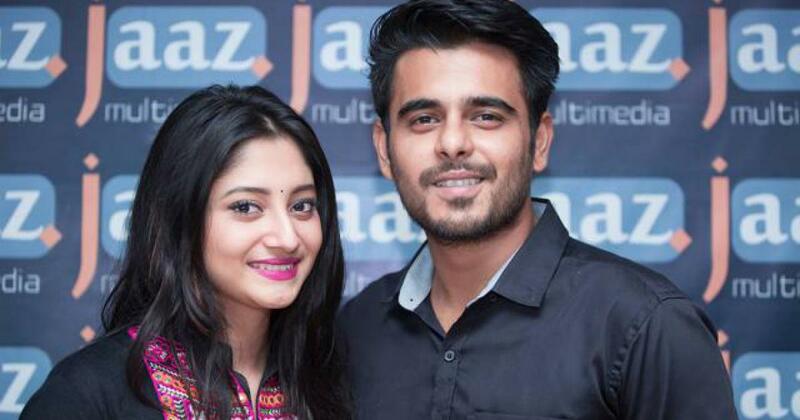 And her debut movie was Bhalobashar Rong with Bappy Chowdhury and Mahiya Mahi from Jaaz Multimedia. 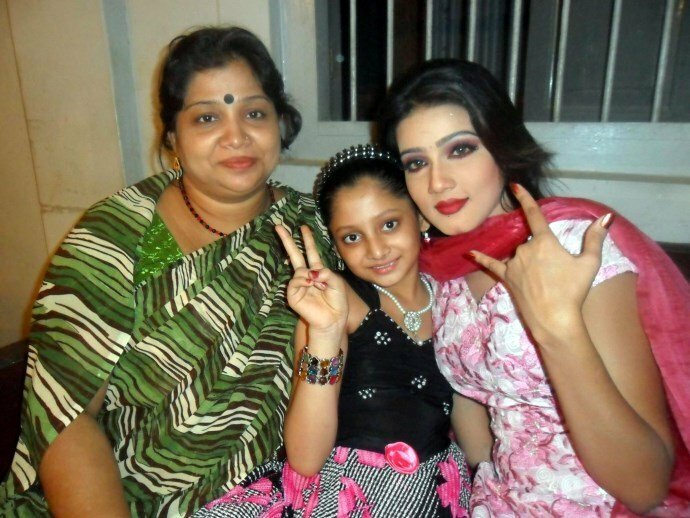 Puja in set of Bhalobashar Rong with her mom and Mahiya Mahi in 2012. Then she acted Films like Agnee with Om and Mahiya Mahi in Indo-Bangladesh Production. 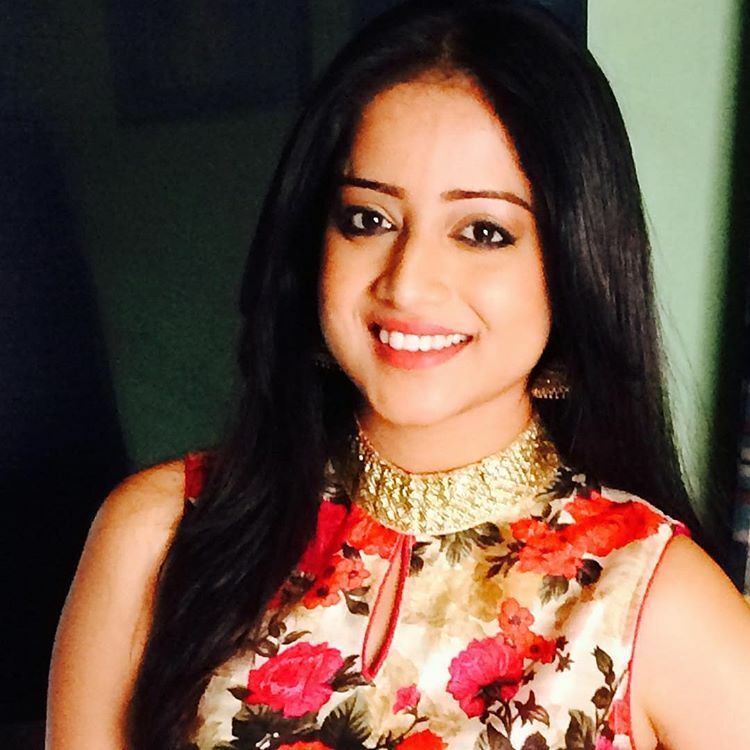 She also acted in Jaan Tumi Pran Tumi, Don Number One, Krishnopokkho etc. in a child artist. Now Puja Cherry work in as a feature Heroine as the main lead. 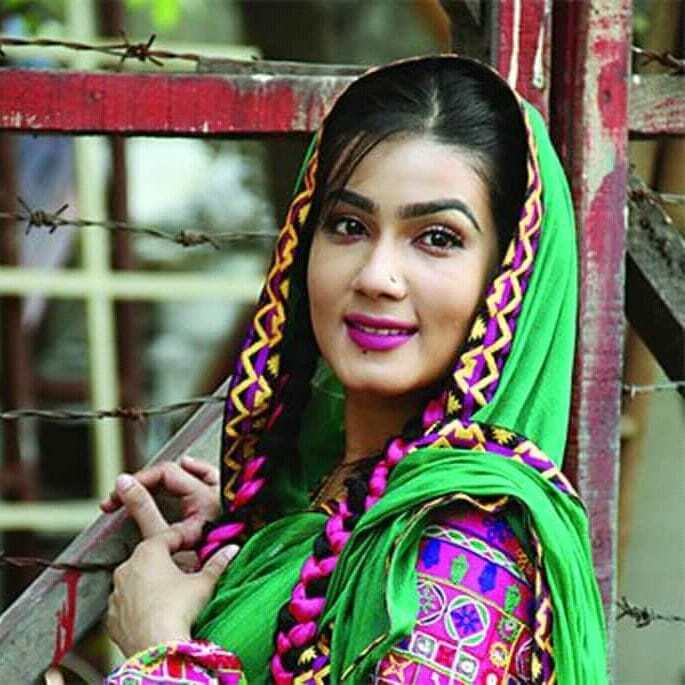 Her first main lead movie in Noor Jahaan with Adrit Roy. Noor Jahaan is directed by Abhimanyu Mukherjee. This movie is from Kolkata under Raj Chakraborty production. 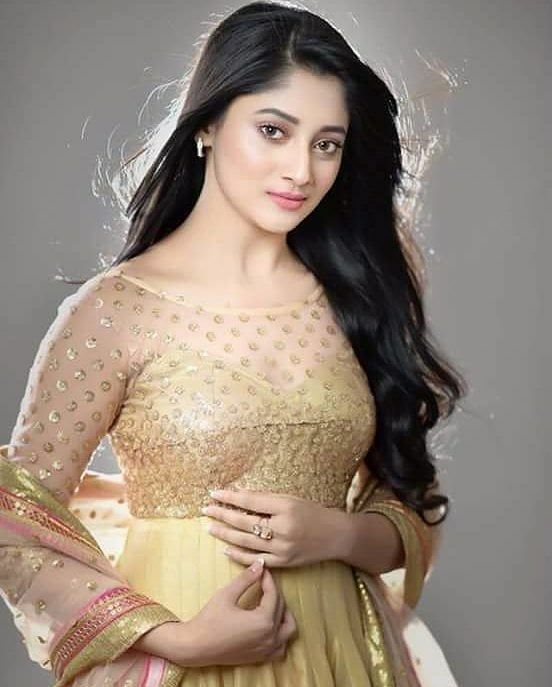 Puja acted another movie as a lead role Poramon 2 with Siam Ahmed. 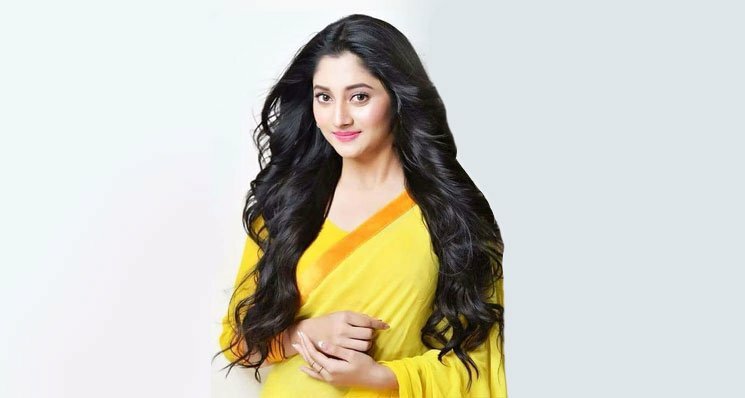 PoraMon2 is an upcoming Bangladeshi Bengali romantic drama film written and directed by Raihan Rafi. This movie is produced by Jaaz Multimedia. Then she did Dahan Movie with the same team. Then she did Dahan film written and directed by Raihan Rafi and produced by Abdul Aziz. This is a political base Bengali film. In Dahan she again works with Siam Ahmed. And Puja Cherry upcoming movie Prem Amar 2 with Adrit Roy. 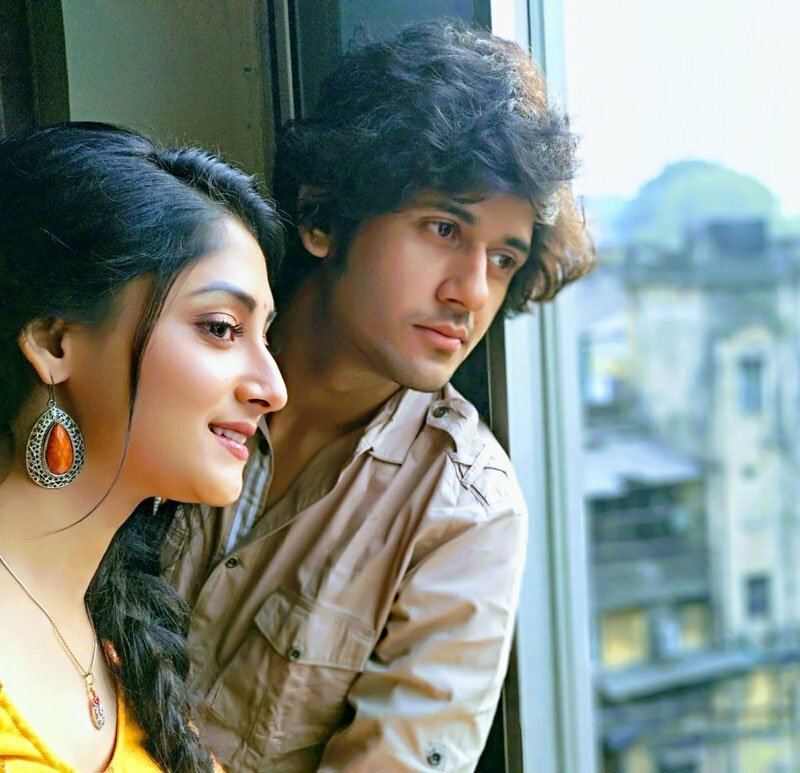 The will be directed by Bidula Bhattacharjee in Raj Chakraborty Productions. But the main fact is Prem Amar is a massive hit in Kolkata where lead actor Soham Chakraborty and actress Payel Sarkar. The original Prem Amar creates history in 2009 at the Box Office. So exaction is high from this movie. This movie India-Bangladesh co-production. 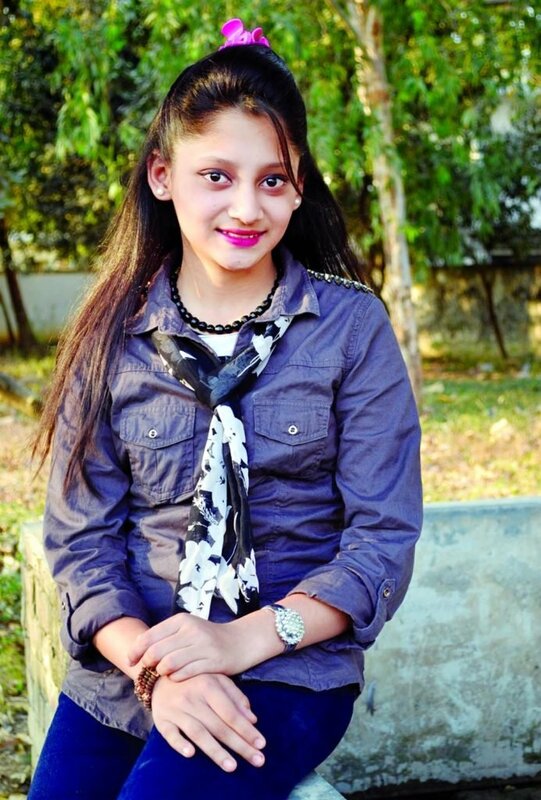 Puja Cherry Age 18 Year, Bobby 5 ft 5 in (165 cm) and Weight 51Kg (112bs). She Wear 8 (US) Shoe Size and 7 (US) Dress Size 6(US). She has Black Color Hair and also Dark Black Color Eye. 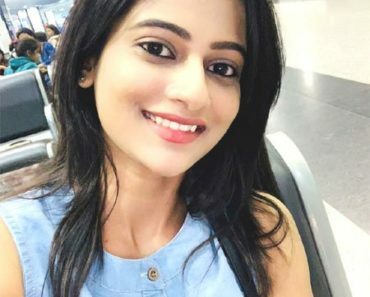 This was the latest information of actress Puja Cherry Wiki, Age, Height, Biography, Boyfriend, Husband, Family & More. Please share this post with your friends and keep visiting this site for celebrity exclusive update.